The APS Knights celebrate after finishing first in their division in the state tournament. Last year, the Grady High School Knights water polo team finished second to last in the division, with a record of two wins and 14 losses. 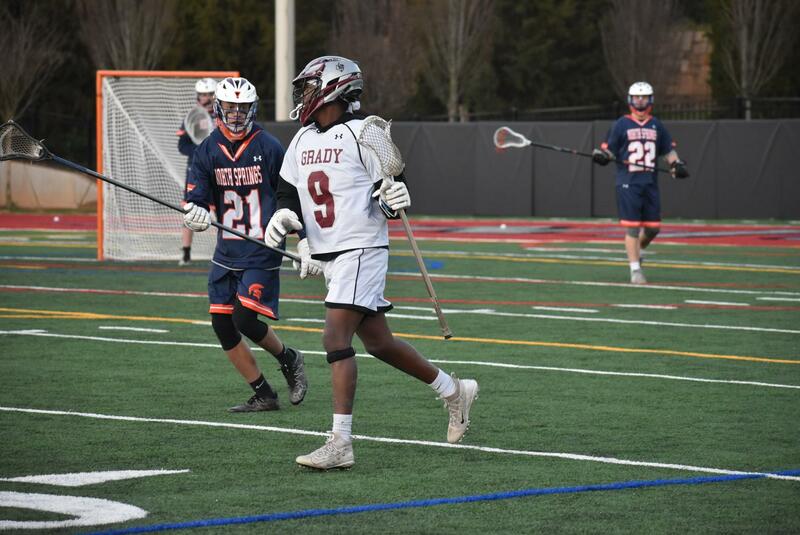 This year, the APS Knights, with players from both Grady and North Atlanta, placed first in its division at the state tournament and only lost two division games during the season. The team’s unprecedented success started from very humble beginnings. In the 2008-09 school year, then-sophomore Olivia Roorbach and former Grady teacher and swim coach Sandra Ukah started the Grady water polo team together. They were coached by Georgia Tech graduate student Kasi David, who doubled as the coach for the Georgia Tech team. David missed many practices and games. “The players essentially coached themselves,” said Jennifer Roorbach, mother of Olivia. They had hand-me-down caps and practiced whenever they could. The team also had very few to no subs in many games. 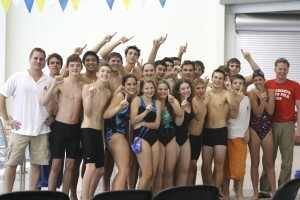 As the team grew, so did the Georgia High School water polo league. Started in 2006 with only two teams, the league has grown to 21 coed teams, divided into an A and a B division, and four girls-only teams. During its first four years, the Grady team had strong spirit, but performed poorly, due to lack of coaching, players, and consistent practice space. In 2011, David moved to Cleveland, and this season the team got a new coach: Robin Smith. Hailing from South Africa, Smith started playing water polo when he was 15, and now plays on the Dynamo Masters team. 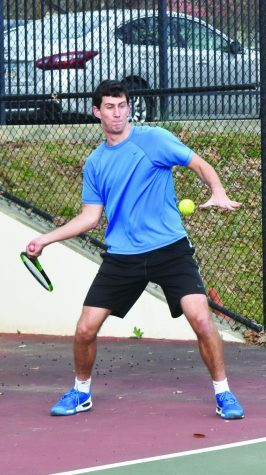 Several North Atlanta students became interested in the sport, as well. 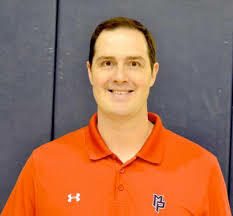 Since North Atlanta did not have enough players to form its own team, the decision was made by team parents to form an APS-wide team, open to all APS schools. Currently, however, only Grady and North Atlanta players are on the team. Another key addition was made to the team this season: Coach Stuart Sheldon. Sheldon has been a part of the Atlanta high school water polo scene since 1992, and has a son who plays and is a student at North Atlanta. This set the stage for a much improved 2012 season. Starting out with a tough overtime loss against Norcross, the team then went on to win three in a row. They managed to defeat the rest of the teams in their division with the exception of one. 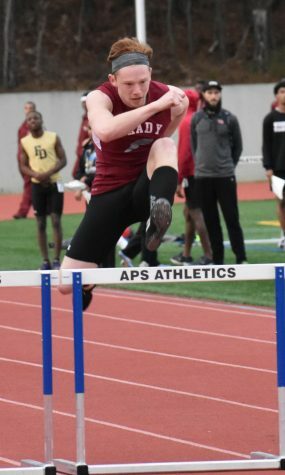 Grady senior Luke Paddock and junior Ryan Switzer were leading scorers, and senior Kate de Give was the strongest of the female players. The team finished second in Division 2. In the state tournament, the team was victorious in its first two games against the B teams of both Lakeside and Norcross. They were beaten by the Southern Crescent team, but that didn’t hurt Grady’s ranking because Grady was in Division 1 and Southern Crescent was in Division 2. The team then went on to beat the Pace team and the Norcross third team, and finish first in Division 2, and 9th overall (higher than two division 1 teams.) Switzer, who was the offensive player of the year for Division 2, was named for the Division 2 all-state team along with Paddock. In addition, de Give made the girls’ all-state team. In the end, merging into one APS team turned out to be successful. Members of the team and both coaches were proud to have completed the most winning season in the history of Grady water polo.